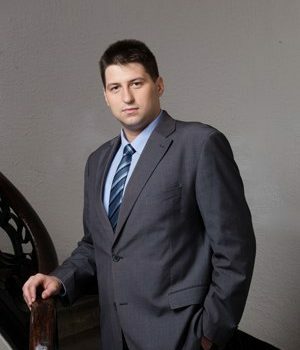 Applicability of Enforcement Proceedings to Contracts with an Arbitration Clause: Risks and Opportunities | Law Firm "Dobrev & Lyutskanov"
As well as the option to agree on arbitration, the parties to a dispute have the opportunity to agree on the relevant procedure. Generally, arbitration provides for a faster final settlement and lower legal costs. The conclusion of an arbitration agreement reflects the freedom of the parties to negotiate, whereby the agreement may be signed also after the dispute occurred. On the other hand, the parties are free to terminate their arbitration agreement at any point of time if there is the mutual consent to do so. In this sense, the principle of consent turns out to be infringed in the context of the enforcement proceedings laid down in the new Civil Procedure Code (which entered into force on 1 March 2008). If a party to a contract with an arbitration clause files an application for an enforcement order, the court will rule on the application, whereas it will rule also on the merit of the case if the other party files an objection. The binding case law of the Supreme Court of Cassation makes it clear that the arbitration tribunal may not rule on a debt recovery claim if an enforcement order has been issued and that the case has to be heard by the competent court in accordance with the rules set out in the Civil Procedure Code. The reasoning of the Supreme Court of Cassation is that the arbitration tribunal may not grant an arbitration award with a res judicata effect with regard to the enforcement order issued by the court, i.e. to make the order unenforceable. There is a lacuna in the existing legislation and the two possible options to fill it in seem equally unacceptable. One alternative is to recognize that if they have agreed on an arbitration clause, the parties will not be able to file for an enforcement order. In other words, they will relinquish the statutory rights they have in a contractual procedure. Insofar as this may be interpreted as a relinquishment of future rights, it is only natural for the Supreme Court of Cassation to reject this interpretation. In this context, the other alternative to fill in the legislative lacuna seems logical, as it provides for the freedom of the parties to resort to enforcement proceedings, notwithstanding their arbitration agreement. However, it leads to a number of outstanding issues. The first one relates to the circumvention of an existing arbitration agreement; the parties have already agreed on a simplified and accelerated procedure to resolve their dispute but it is at the will of one of the parties that a civil court will hear the dispute instead. In some specific cases, this violation of the principle of the binding effect of contracts may lead also to violation of the principle of equity of the parties since the very content of a contract might lead to a situation in which only one of the parties would be in a position to file for a recovery enforcement order. For instance, in the case of works contracts, the builder will be able to claim payment of the remuneration due but the contracting authority will have to file an arbitration claim for the non-performed works to be carried out because the recovery enforcement order is generally issued only to enforce the payment of a debt or the delivery or substitute goods but it will not obligate the contractor to complete the agreed works. In such cases, one of the parties is free to choose between the civil court and the arbitration tribunal, while the other will have to invoke the arbitration clause. The inequity might be even more pronounced, when there exist grounds to issue an immediate enforcement order, e.g. a contract in the form of a title deed or a contract with notarized signatures, because one of the parties might obtain a writ of execution before the other party is notified of the opening of legal proceedings. These risks are incompatible with the objective of the arbitration clause, i.e. to enable the parties to achieve greater predictability in their relationships with regard to dispute resolution issues. The case law in this respect is a threat not only to the principle of equity of the parties but also the legal certainty because it creates opportunities for contradictory rulings on the same dispute. The enforcement proceedings do not make it possible for all disputes in relation to a contract to be heard and, if an arbitration clause exists, these disputes should be referred to the arbitration tribunal. An example to this effect is the application for an enforcement order in the case of a promissory note. If the promissory note envisages payment of the principal only, then any claim to be awarded damages goes beyond the scope of the enforcement order and therefore it has to be referred to an arbitration tribunal. In this particular case, the existence, implementation and termination of a single contract will be examined by both the civil court and the arbitration tribunal but the law does not contain any mechanism to repeal an arbitration award which contravenes the court judgment or vice versa. In other words, it will be possible for some decisions to exist parallel to one another in the legal world and make a contract valid and null and void at the same time. A possible outcome would be to bring multiple cases in relation to the same contract to court but that, in its turn, would contravene the principle of procedural economy. The lacuna in the legislation has a limited scope with regard to international arbitration because the debtor under the enforcement order must have his address in Bulgaria. Notwithstanding this limitation, disputes with regard to arbitration agreements and the applicability of enforcement proceedings are increasing in number, which is a sign that a legislative solution is needed. Another outstanding issue is what can the party, which insists on the application of the arbitration agreement, do in this case. There is no case law of the Supreme Court of Cassation yet to clarify whether a case within the framework of enforcement proceedings should be stayed in the event of pending arbitration dispute on the existence and interpretation of the contract with a view to avoiding contradictory rulings. In all cases, the petition to stay the proceedings should conform to the binding case law of the Supreme Court of Cassation with regard to the enforcement proceedings and the facts of the case. The other option is to undertake negative declaratory action before the arbitration tribunal so that to deny the existence of the debt, the recovery of which might be claimed in the enforcement proceedings. In such cases, the court should drop the proceedings due to a pending arbitration dispute with the same subject-matter. The case law is yet to show whether such a solution would be feasible in practice. More clarity could be introduced with an interpretative judgment of the Supreme Court of Cassation. However, it does not seem likely for the time being in the context of the prevailing opinion in the case law.